From the Mwah! collection by Westland Giftware. Westland Giftware Mwah! Horses Salt and Pepper Shakers. This Item is in stock and ready to ship. 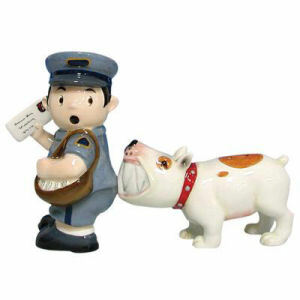 You should not postpone your purchase and miss out on adding Westland Giftware Mwah! 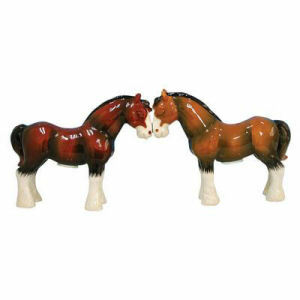 Horses Salt and Pepper Shakers to your Mwah! collection! From the Mwah! collection by Westland Giftware. Horses Salt and Pepper Shakers. These sets are held together with magnets. Made of ceramic with glossy finish. Measures 3.25 Inches high. Hand wash only. Westland Giftware Mwah! Salt and Pepper Shakers shipping from Canada. No Surprise Border fees or Customs!